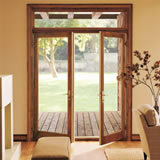 Wood-Ultrex Series windows and doors feature exteriors of Ultrex fiberglass and beautiful real wood interiors. Setting new standards in low maintenance and top aesthetics, Integrity Wood-Ultrex series combines the most popular sizes and styles of windows and improves them with Ultrex ® durability, elegant wood interiors and standard ENERGYSTAR-qualified performance. 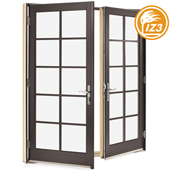 Take a look at our full line of products, then explore the range of options that make an Integrity window the perfect fit for you. 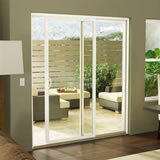 All Ultrex Series windows and doors feature Ultrex construction inside and out. Beautiful, easy to use and as low-maintenance as a material can get, Ultrex® provides exceptional aesthetics, outstanding durability, and standard ENERGY STAR-qualified performance. Six exterior finishes combine with pultruded fiberglass construction to offer virtually indestructible exteriors, while the low-maintenance classic white profiled interiors provide a beautiful classic appearance. 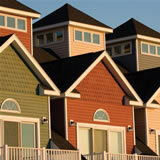 IMPACT Products from Integrity® Windows and Doors – finally a coastal product designed to withstand life on the coast. Integrity IMPACT products are Impact/Wind Zone 3 rated for winds up to 140 mph and are constructed of Ultrex®, a revolutionary pultruded fiberglass material. Ultrex is non-corrosive, deflects heat up to 350°, and resists UV degradation; so it is perfectly suited to resist the salt, heat, sun, wind and humidity that accompany coastal living. IZ3 rated performance designed to perform everyday. Integrity from Marvin Windows and Doors has been fulfilling the window and door needs of commercial buildings for over 15 years. Our unique Ultrex® fiberglass construction, available factory services, unmatched delivery, and network of dedicated Marvin service and support personnel make Integrity the perfect choice for any commercial project. Condos, townhouses, schools, businesses, banks, retail, churches... whatever your project, Integrity has the experience to meet your commercial needs.